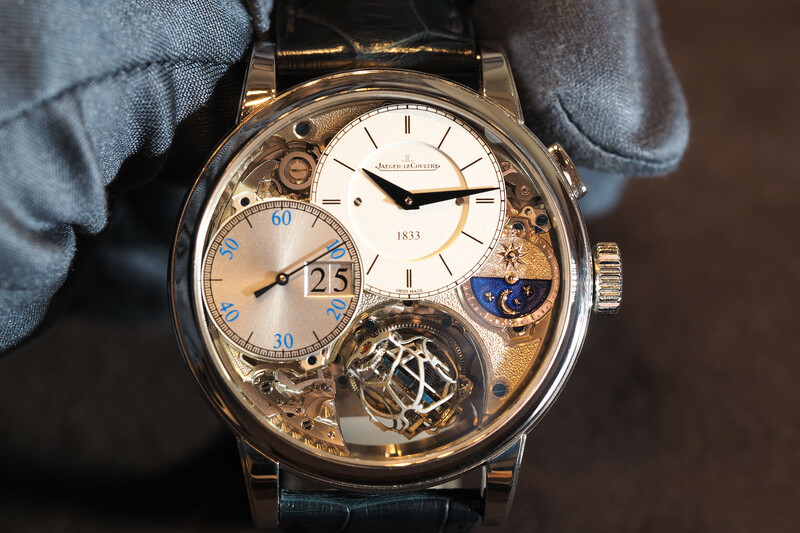 Luxury Swiss watchmaker, Parmigiani Fleurier, launched the all new Tonda Metro collection just last month at SIHH. The Tonda Métrographe is the new chronograph from this collection and consists of 6 references. 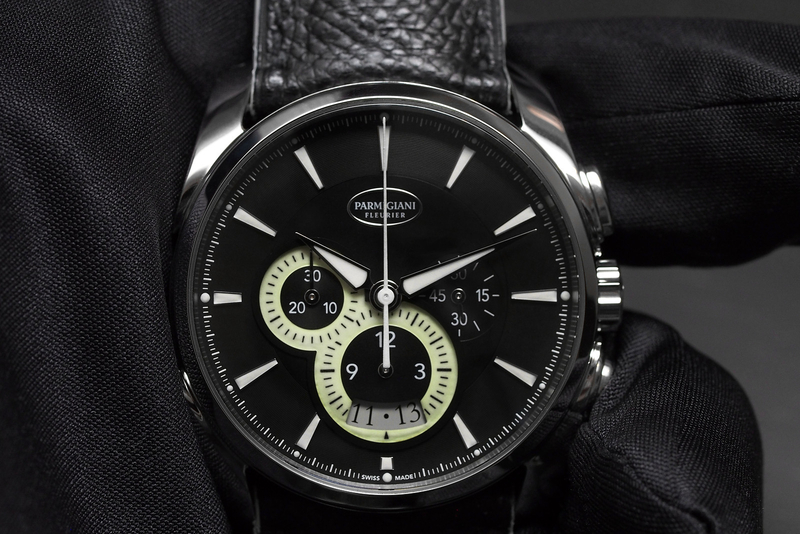 To create the new chronograph, which is presented in a 40 mm by 12.2 mm Tonda case Parmigiani Fleurier created a brand new movement — the caliber PF315. 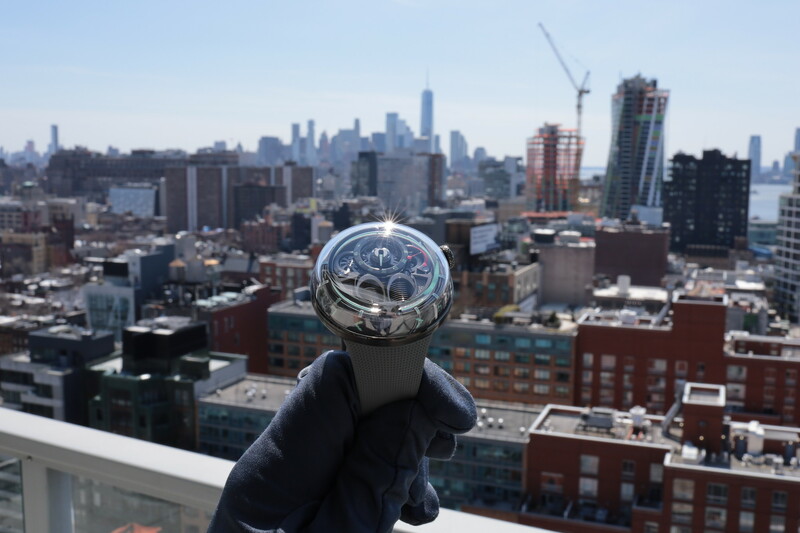 It is an in-house made automatic movement with 351 components, 46 of which are jewels, and a 42-hour power reserve (with 2 series-coupled barrels). It has a very high level hand decoration, such as Côtes de Genève and beveled bridges, which we have come to expect from Parmigiani. 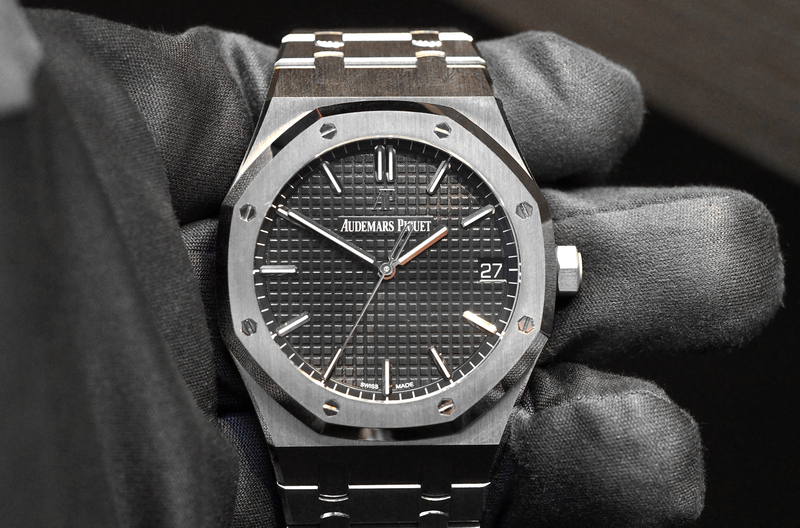 Functions include central hours and minutes, small seconds at 3 o’clock, a date indication and a 1/4th of a second chronograph with 30-minute and 12-hour counters. The cases on all references are polished to a mirror finish and come with a steel non-locking crown measuring 7 mm in diameter. Water resistance is 30 meters. Anti-reflective sapphire crystal and sapphire back. Individually engraved number on the back. There are two standard dial choices and one special edition, all are made in brass. First, is the grained white dial (cream colored) with rose gold applied indexes, including Arabic numerals at 12, 3, 6 and 9 o’clock. It has silver snailed chronograph counters and a small seconds counter the matching the dial. Second, is the black dial with rhodium plated indexes, with a luminous coating (including a generous luminous coating around the chronograph counters), snailed outer ring and counters. And last, the special edition which has a pale green dial, with snailed outer ring and counters and luminous material on the hour markers and around the chronograph sub-dials. The hands for all versions are Delta-shaped, all with a luminescent coating. Each model comes with a choice of a genuine Hermès leather strap or a metal bracelet. Watches made in a 40 mm diameter case are becoming increasingly popular after many years where the majority of watchmakers offered, and in many cases still do offer, the bulk of their men’s collections in 42 mm diameter or bigger cases. This conservative size, is an ideal size for most men, and a better choice especially when marketing to those with purist and collector tastes. Next articleNewsIntroducing the Aerowatch Renaissance "Fir Tree"